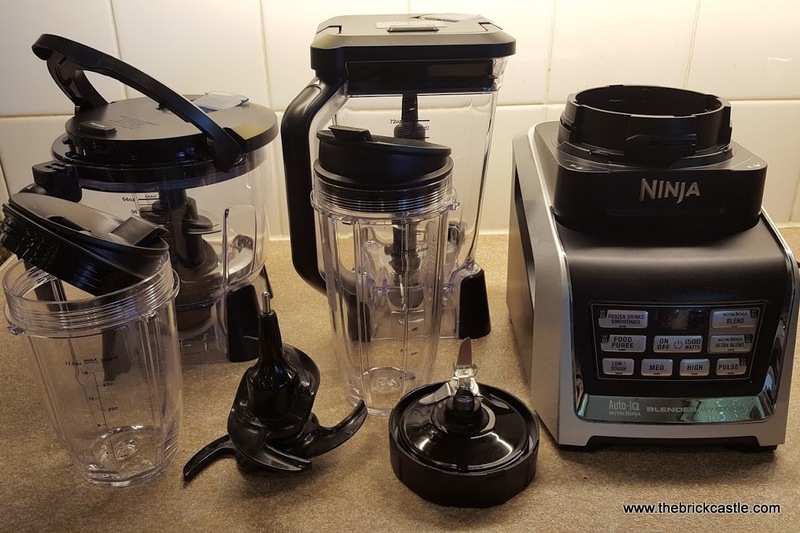 I was VERY excited when I was asked if I wanted to take a look at a NUTRI NINJA kitchen blender, even more so when it arrived and it was the NINJA Complete Kitchen System with NUTRI NINJA (with Auto IQ). 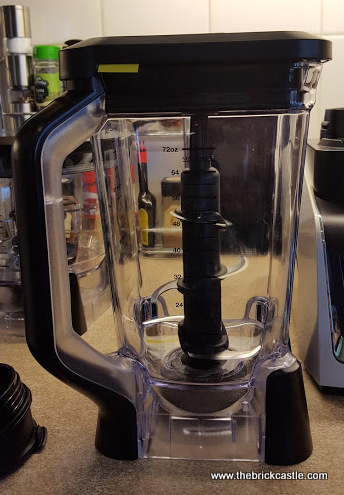 At 1500w and with a swathe of accessories, it is capable of so much more than your average blender. The system arrives in a huge box containing all of the parts in smaller boxes. It's like Christmas. The metal blades are incredibly sharp, and arrive the same way as they store, safely inside the pitcher, cup and bowl. The NUTRI NINJA itself is, as you'd expect, a heavy piece of equipment, and clearly also heavy duty. 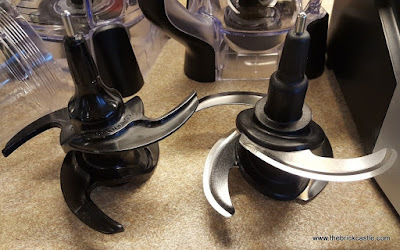 The fixing system for the food containers is complex, but straightforward and it's really easy to feel the 'click' when you have twisted and secured your container correctly. There's a nice long cable, which coils behind for safety. The control panel looks straightforward enough even before you read the instructions, and afterwards it's a doddle. 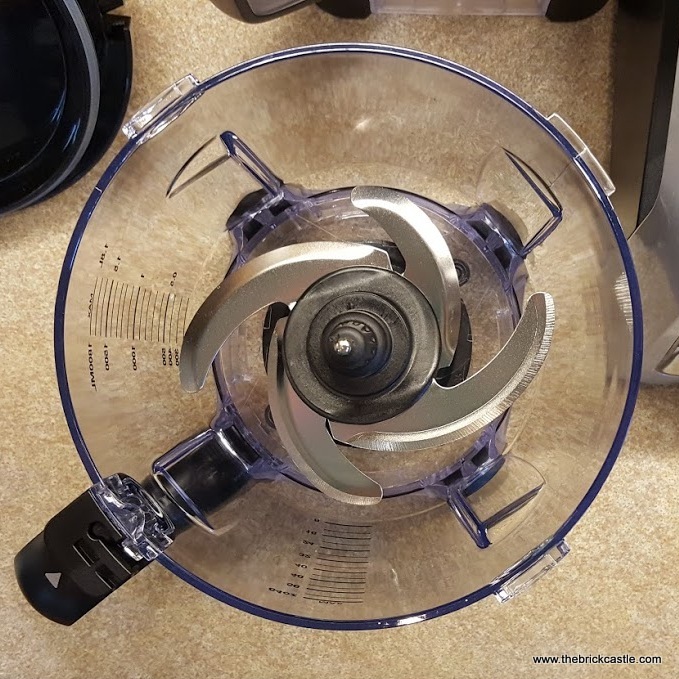 The Auto IQ function launches 1 of 8 programmes, designed to create the effect you want using varied rotations, speeds and pauses to chop, blend, mix and fluff your ingredients. 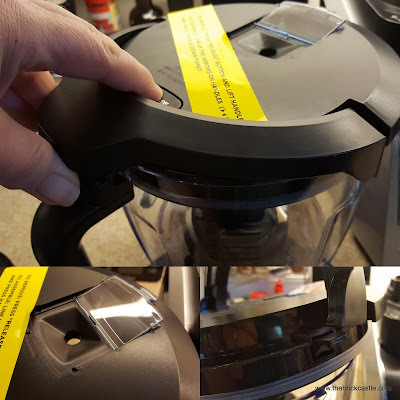 NUTRI NINJA knows which container and blade combination you are using, and only allows appropriate programs, so you don't have to worry you'll break it by selecting something potentially damaging. 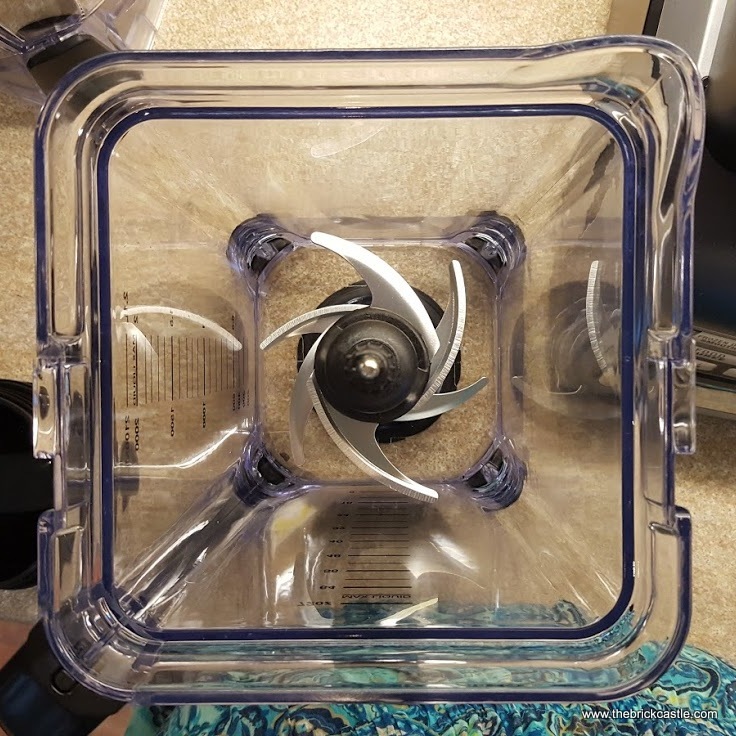 Included in the NINJA Complete Kitchen System are the NUTRI NINJA itself, and 4 lidded containers, plus the associated blades. 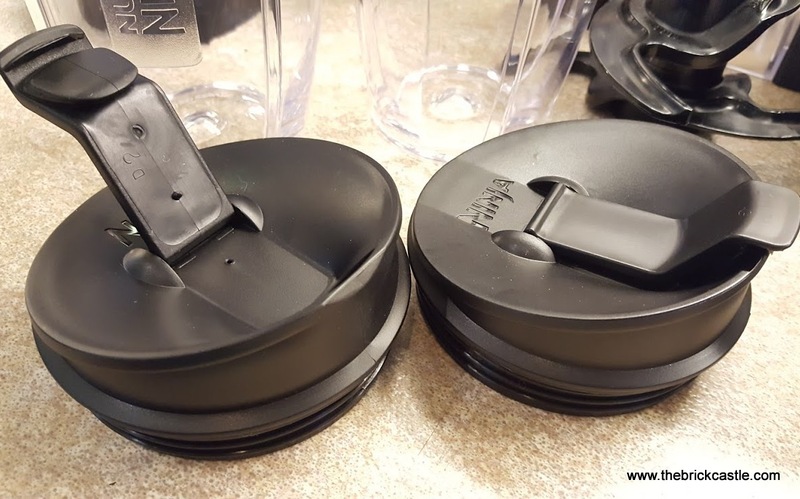 The 650ml and 500ml NUTRI NINJA Cups work with the Pro Extractor Blades, and Sip & Seal Lids to chop, Ultra Blend, blend and puree, and then store. 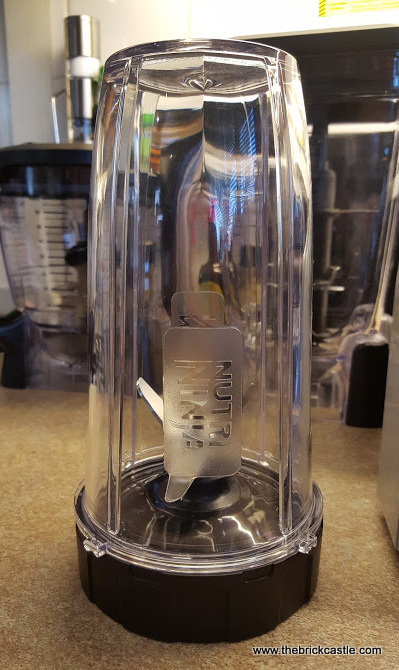 Fill your cup with your choice of fruit, veg, nuts, liquids, flavourings, ice or whatever you fancy, screw on the Pro Extractor Blades and place on the NUTRI NINJA Base. 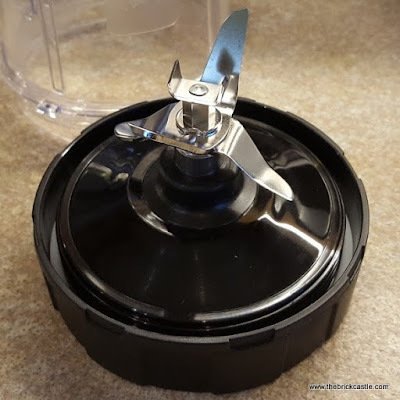 Choose your programme or use 'pulse' to get your desired consistency.... a minute or two later and you can unscrew from the base, remove the blades and if you want to store your mix, replace with a Sip & Seal Lid. 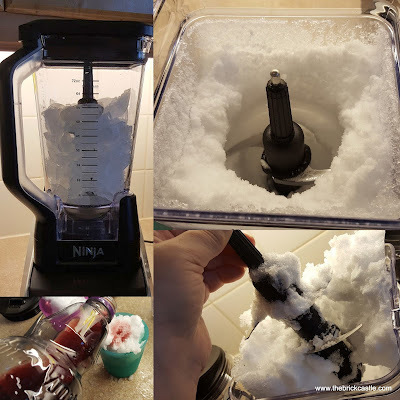 It was incredibly hot in Manchester when we received our NUTRI NINJA, so it's no coincidence the first things we tried involved ice. 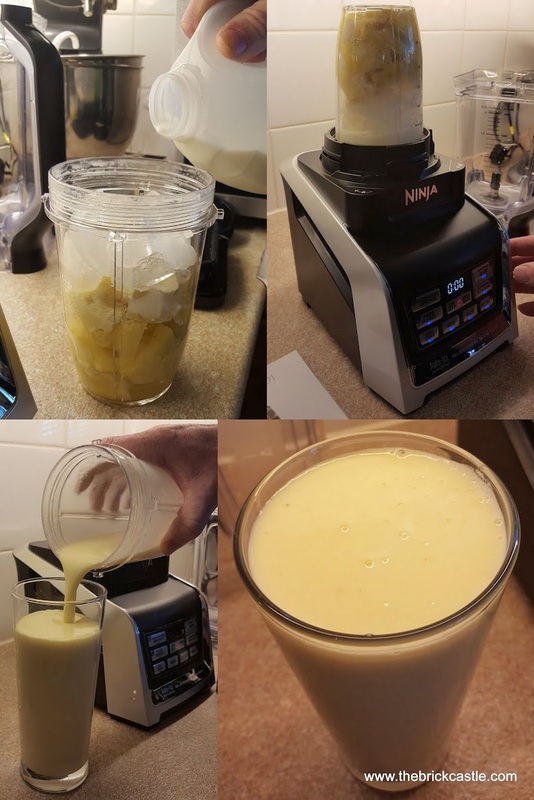 The Auto IQ Ultra Blend programme turned a banana and ice into an iced dessert in under 2 minutes. Adding together any fruit (avoid acidic and citrus) and milk creates a gorgeous frothy milkshake, add ice and it's divine. The classic Strawberry is always a winner, and Mango and Banana has proven a favourite here. The Food Processor Bowl and locking lid with handle has two different blade sets - The Chopping Blade and the Dough Blade. We tested ours with Butternut Squash Soup. 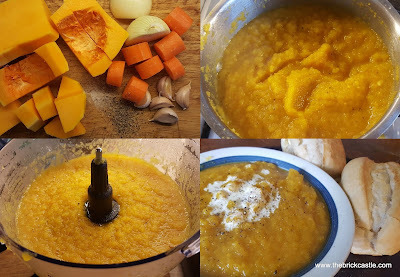 I oven roasted some onions, garlic, butternut squash and carrots until almost soft. 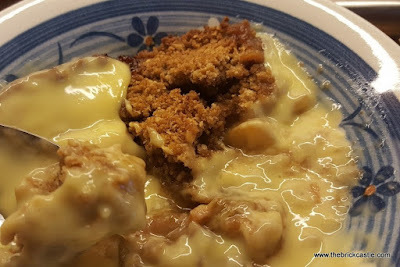 I like a bit of bite to my soup, the softer the vegetables, the smoother you can get your soup. You have to wait until the vegetables have cooled a little before blending, then return to a saucepan to heat through again, adding seasoning. The Blender Pitcher and locking lid with handle works with the Stacked Blades to chop, blend or puree. This huge pitcher is ideal for making iced drinks, desserts, cocktail, soups and sauces. The blades make light work of even ice ridiculously quickly. They will even make you some snow in only a couple of minutes...and who wouldn't want snow in June? To remove the blade from thick or frozen mixes you will need to turn as you lift, or it'll spill everywhere. Always remove the blade before pouring or removing your mix to avoid it falling out or getting damaged. 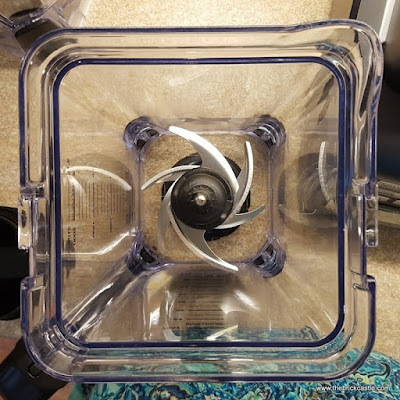 All of the NUTRI NINJA blades, except the Dough Blade are, as you would expect, ridiculously sharp and will slice straight through skin before you even feel it. 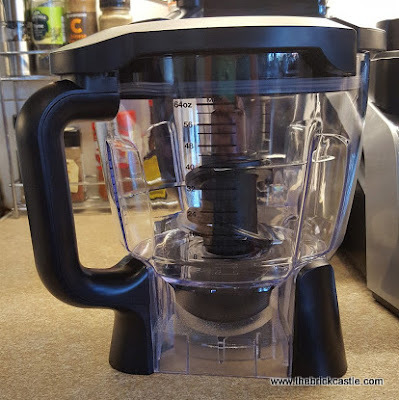 Both the Food Processor Bowl and Blender Pitcher have similarly locking lid systems. Press the button as you raise the handle to unlock the lid. This is easily done one-handed and works well. 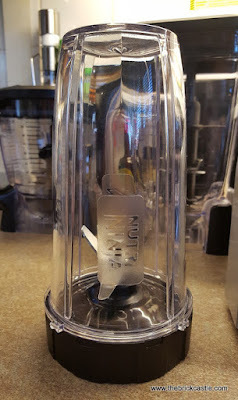 To lock the lid, lower the handle until it clicks. When pushing the lid onto your container you need to make sure it's tight against the rubber seals, or it feels it could damage the small plastic stops which are there to prevent you lowering the handle for that very reason - when it's not on correctly. 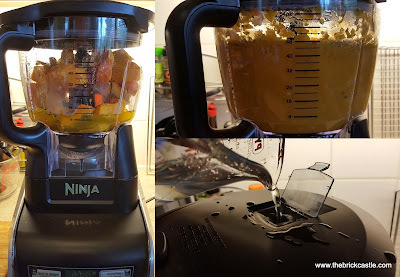 Everything about the NUTRI NINJA gives you confidence in the product. 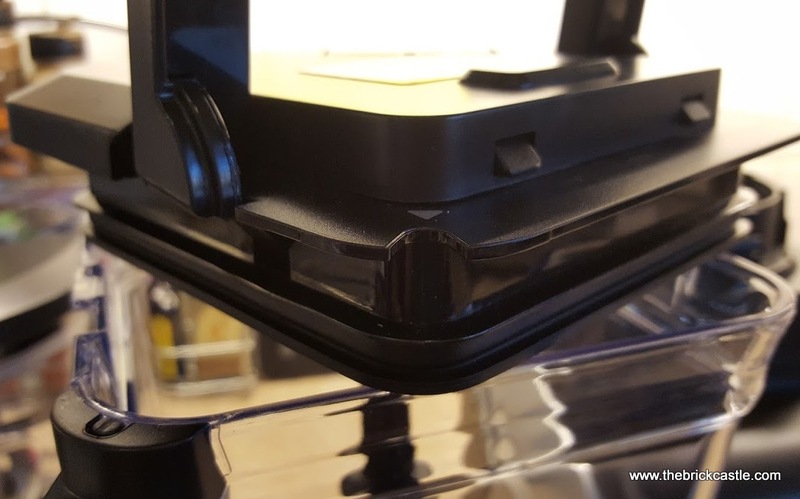 Rubber seals and linings mean you have a tight seal before you've even closed anything fully. The speed in which it works is impressive, and the 'lightness' of the end product can't be bettered. 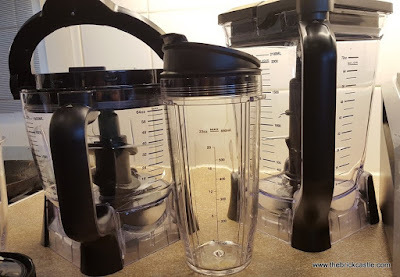 Frothy milkshakes and smoothies in super quick time, and with the Food Processor Bowl even cake and cookie mix that is light and fluffy and rises really nicely. The NUTRI NINJA is pretty much fool-proof. 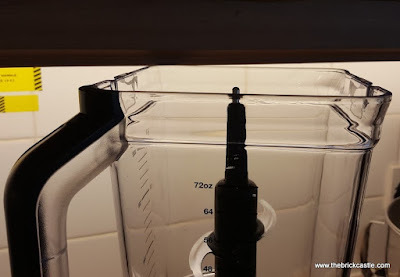 As long as you reserve the Dough Blade for doughs and batters (and it doesn't suggest you can use ice in the Food Processor Bowl so we're avoiding), you can pretty much put any foods and liquids in that you wish. 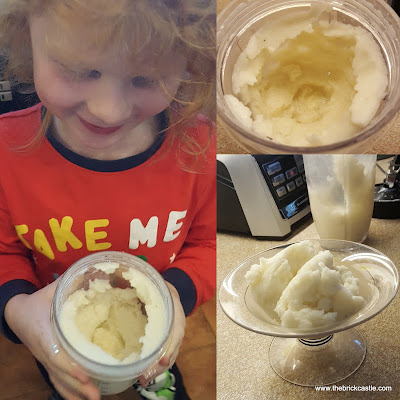 My 6 and 7 year olds have been experimenting all week with different smoothies and iced drinks, my teenagers absolutely love making milkshakes and experimenting with chopping salad vegetables like carrots, and I'm really looking forward to having a far easier job making my Winter Root Vegetable soups. We've all eaten more fruit and veg, and genuinely there has been less waste, as odds and ends and bits which would be left behind get thrown into the mix, and nothing is too tough to blend! 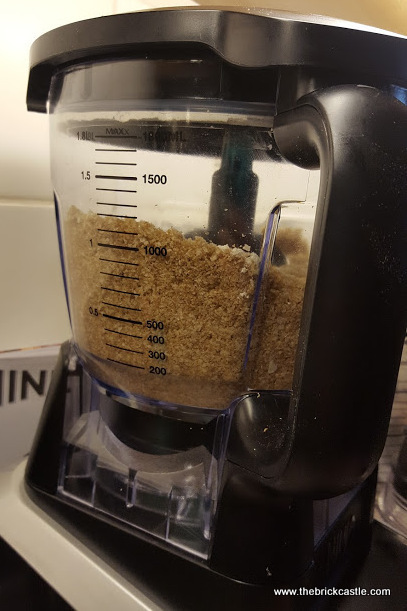 So much more than a 'blender', we even made a crumble mix so much more quickly and efficiently than you'd imagine, and the size of the NUTRI NINJA Food Processor Bowl and Pitcher really do allow for family sized mixtures. The next thing I'm going to try is perfecting a veggie burger recipe with beans, nuts, root veg, onions, breadcrumbs and seasonings. Previously this would mean all day chopping and mixing, now I can do it in minutes. The NUTRI NINJA Complete Kitchen System with NUTRI NINJA with Auto IQ (BL682UK) is available now rrp £199.99. It's a big investment, but I honestly believe it is an excellent quality one which should last for years, even with daily use. 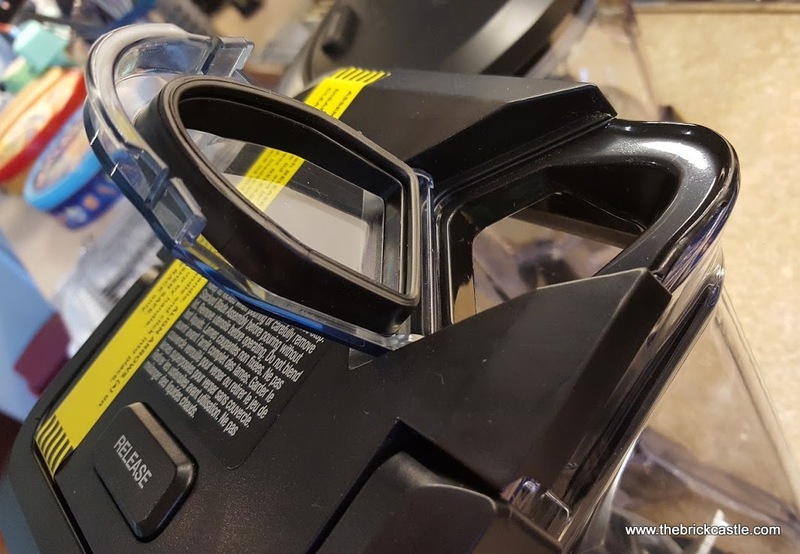 It's so easy to use that anyone can operate it straight out of the box, requires no set up, is easy to clean and performs exactly as I'd hope. If you are a lover of raw foods, home baking, smoothies, soups or even milkshakes, you would definitely get good use from your NUTRI NINJA, and if you usually buy those products pre-prepared then you'd certainly get your investment back by making your own. You will also find you do eat more fruit and veg, and so do your children. To find out all about the different NUTRI NINJA packages available, and more about the NUTRI NINJA itself, visit the NUTRI NINJA UK website. 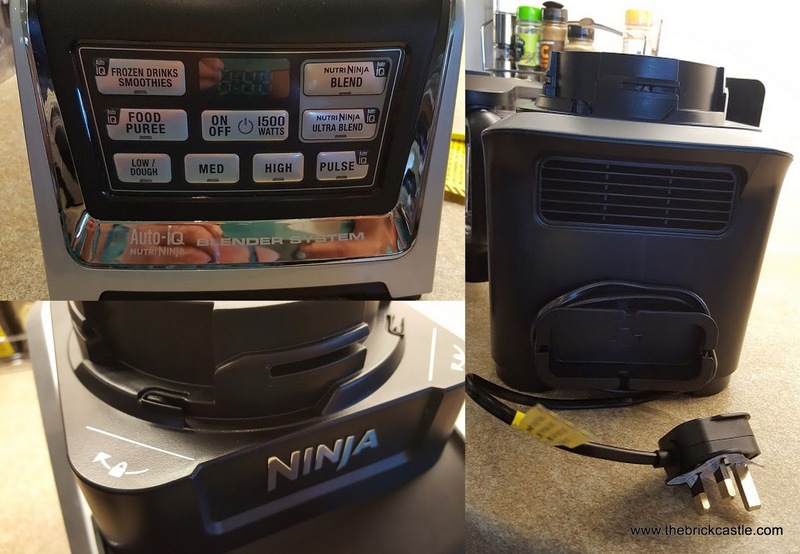 We were sent our NUTRI NINJA for review.